Walberswick dunes | Flickr - Photo Sharing! Taken nearly two years ago you can clearly see how badly eroded the dunes were after the wnter's high tides. Bob Foyers, rhondamartinlensart, and 66 other people added this photo to their favorites. Something unusual and intriguing. Beautiful composition and light. The llight and pov are both excellent. Nice one Justin. Was there again yesterday.. sky was rubbish but got caught by the tide again mate.... really need to learn my lesson lol. This place is taking a battering over the last few years.. I recognise the area and pier remains. Great light and texture. Beautiful light in this image. Star Wars ish. Great shot! 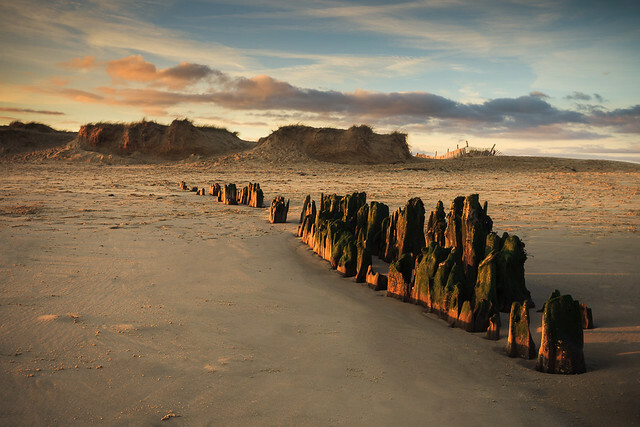 At first glance it looks like a scene from Nevada desserts.. Great light on the groynes . By the way u enjoyed your piece in outdoor photography. philip hartland cheers Phil and thanks for reading it! Lovely tones to this one Justin.